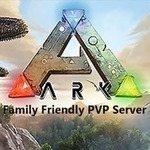 * New Mechanic: Custom Tripwire Alarm Notifications via SurviveTheArk.com (E-mail and Forum). Optionally Tribes can post to arbritrary URL, if they have a custom system! Now if someone's raiding your base, you can get on top of it! Note: you need to be in a Tribe (even a Tribe of one by yourself for this feature to be utilized!